WHAT IS THE MEANING OF THIS RATING? 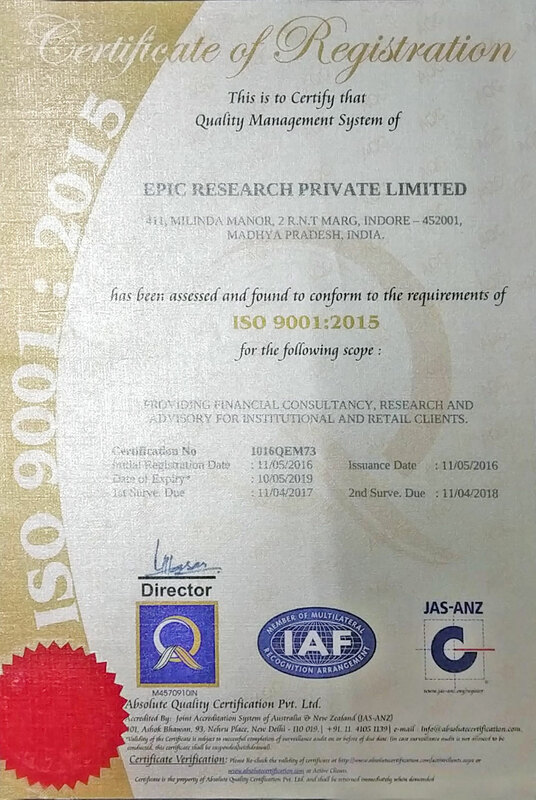 "We Have Received A Credit Rating, Which Proves That We Are A Trustworthy Enterprise, In Countries Like US People Insist That Businesses Have Credit Ratings And Verify Them Before Doing Business With Them, This Rating Is Jointly Given By 3 Entities Below"
NSIC (National Small Industries Corporation) National Small Industries Corporation Ltd. (NSIC) is an ISO 9001-2008 certified Government of India Enterprise under Ministry of Micro, Small and Medium Enterprises (MSME). 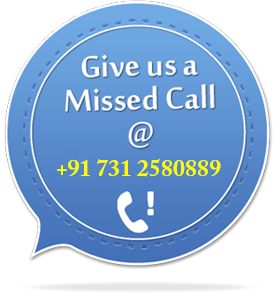 CRISIL (Formerly Credit Rating Information Services of India Limited )CRISIL Ratings is India's leading SEBI registered rating agency. 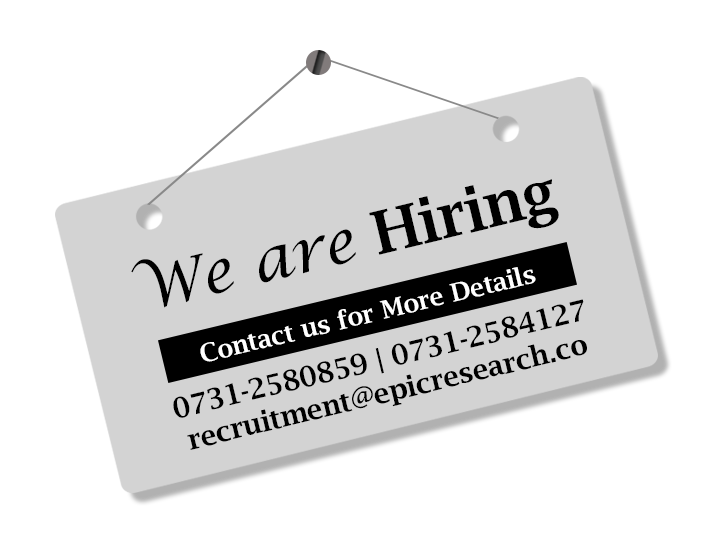 It is a global analytical company providing ratings, research, and risk and policy advisory services. CRISIL's majority shareholder is Standard & Poor's, a division of McGraw-Hill Financial and provider of financial market intelligence. 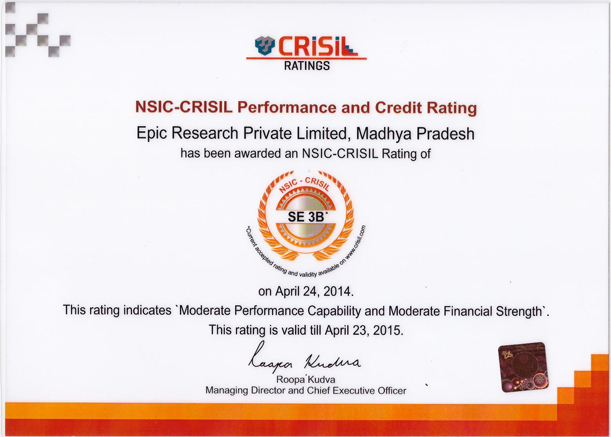 CRISIL's primary objective is to provide Ratings that are comprehensive, transparent and reliable. The alphabet "B" indicates financial strength this indicates our net worth is between INR 50 Million and INR 200 Million, (NSIC CRISIL Scale), the next highest is "A" to get that our net worth will have to be more than 200 Million, year on year our net worth will be analysed and the rating will be revised. Expiry on April 24, 2014. Quality is a documented and measurable part of our business practices, policies, plans, and company culture. Our quality policy is understood and followed at all levels and by all employees. Each employee works towards measurable objectives. The quality system is regularly audited and evaluated for conformance and effectiveness. The business (1) makes sure no one uses bad product, (2) determines what to do with bad product, (3) deals with the root cause of problems, and (4) keep records to use as a tool to improve the system. Records show how and where raw materials and products were processed, to allow products and problems to be traced to the source. The business has created systems for communicating with customers about product information, inquiries, contracts, orders, feedback and complaints. When developing new products, the business plans the stages of development, with appropriate testing at each stage. 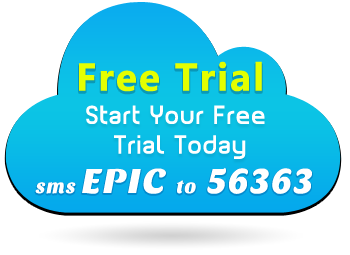 It tests and documents whether the product meets design requirements, regulatory requirements and user needs. The business regularly reviews performan ce through internal audits and meetings. The business determines whether the quality system is working and what improvements can be made. It has a documented procedure for internal audits. 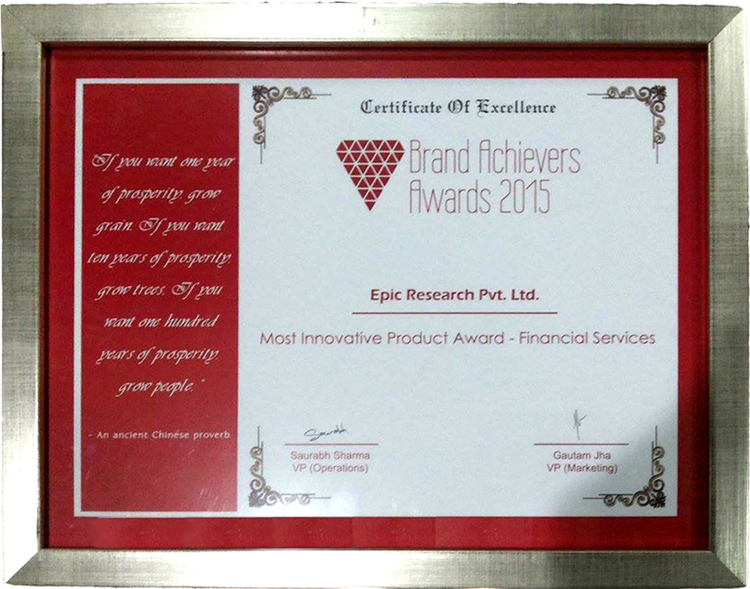 Epic Research Family added one more credibility to the wall of Epic Research for its Customer Satisfaction and recognition approach as it won one more Prestigious award by Brands Achievers Awards 2015 for "Most Innovative Product Award - Financial Services". 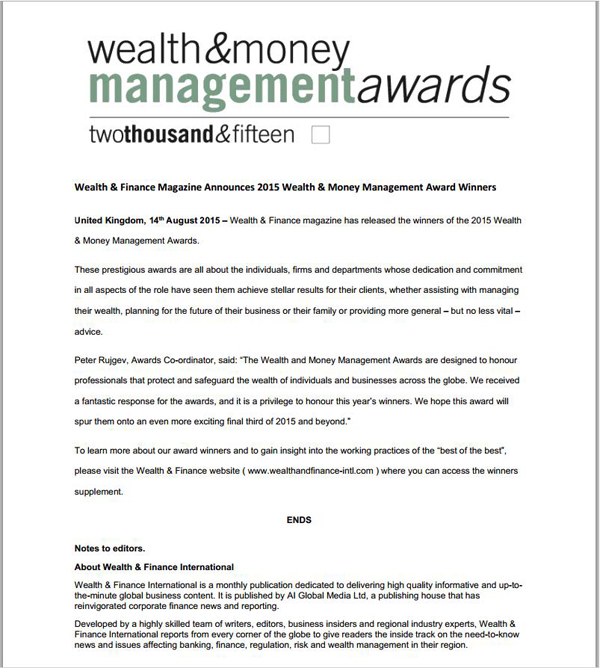 Our CEO Mr. Mustafa Nadeem of EPIC RESEARCH received the prestigious award for "Most Innovative Product Award - Financial Services" on behalf of EPIC RESEARCH organized by Brands from Actor/Producer Shekhar Suman . 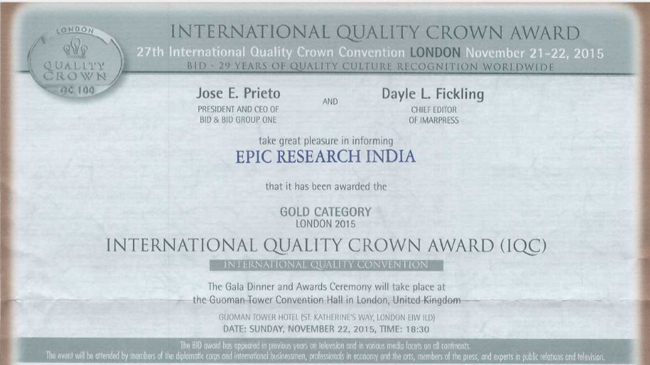 Epic Research has been awarded by the BID group of Spain with the 'International Quality Crown Award' for 2015. The group provides consulting to companies around the globe on quality management and runs the BQM programs. The award recognizes Epic's emphasis on thorough quality control in its services right from advice generation to dissemination.